Jay Donelson began writing fitness and nutrition articles for LIVESTRONG.COM in 2011. Jay has a Bachelor of Arts in English from West Virginia University and a Master of Arts in adult education from the University of Rhode Island. He is also a National Academy of Sports Medicine (NASM) Certified Personal Trainer and a Certified Fitness Nutrition Specialist (CFNS). Green tea is available in bagged and leaf form. The bagged versions are more commonly available in grocery stores, whereas the leaf versions typically need to be ordered through a company’s website or purchased at a specialty retailer. There are differences in the two types as far as cost, benefits and taste. According to the University of Maryland Medical Center, green tea offers health benefits, including a high concentration of antioxidants. Antioxidants battle the free radicals that can alter and even kill cells. Green tea has also been shown to help fight a number of diseases, from cancer to diabetes. Green tea is unfermented, whereas black or oolong teas are at least partially fermented. This allows green tea to retain its natural antioxidant levels better than the other types. In order to be packaged in bags, green tea leaves must be chopped, sliced and diced into small particles known as Fanning and Dusts. This process causes the tea to break down quickly due to its interaction with moisture and oxygen. Additionally, more caffeine is lost as a result of this process than with loose tea, or tea that is not placed in bags. Loose teas contain either entire leaves or the largest pieces of the leaves. This keeps the medicinal properties, and the taste, intact for a longer period of time than bagged tea. Loose tea will still go bad over time, however. When purchasing loose tea, look for hand-harvested leaves. Hand-harvested leaves are whole leaves, whereas machine harvesting breaks or tears leaves as a part of the process. Loose-leaf teas may offer more powerful medicinal benefits and better taste, but they also require more effort to brew. You can purchase special pots, steeping baskets or tea balls for brewing tea leaves. Additionally, loose teas tend to be more costly and less readily available than bagged teas. Green tea in either form is still worth drinking and will be beneficial to your health. Try different types and different flavors to find the right match for you. Go Ask Alice: Bagged Tea Versus Loose Leaf: Which is Better? 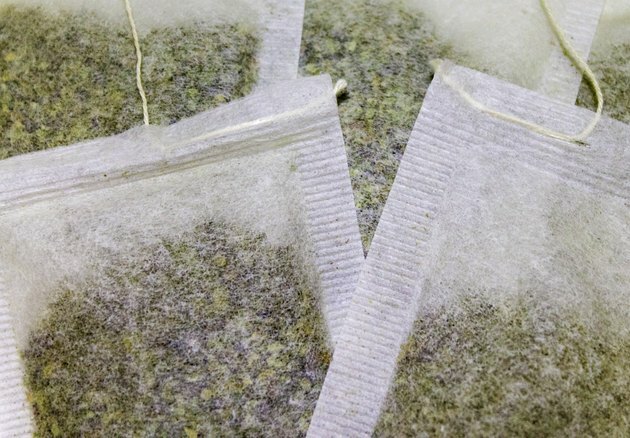 Should You Leave Your Tea Bag in or Take it Out?